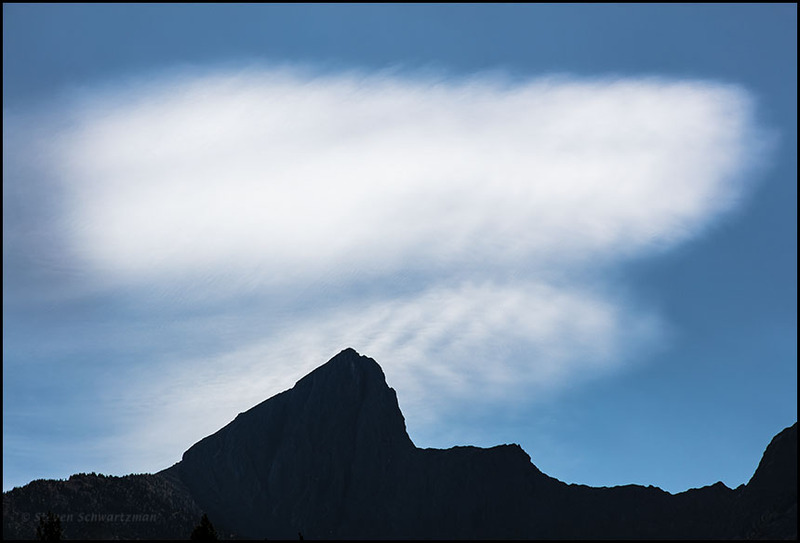 Here’s a different take on the Kananaskis Range of the Rocky Mountains in Alberta, Canada: a silhouetted view with graphic clouds beyond and above. The date was September 11, 2017. 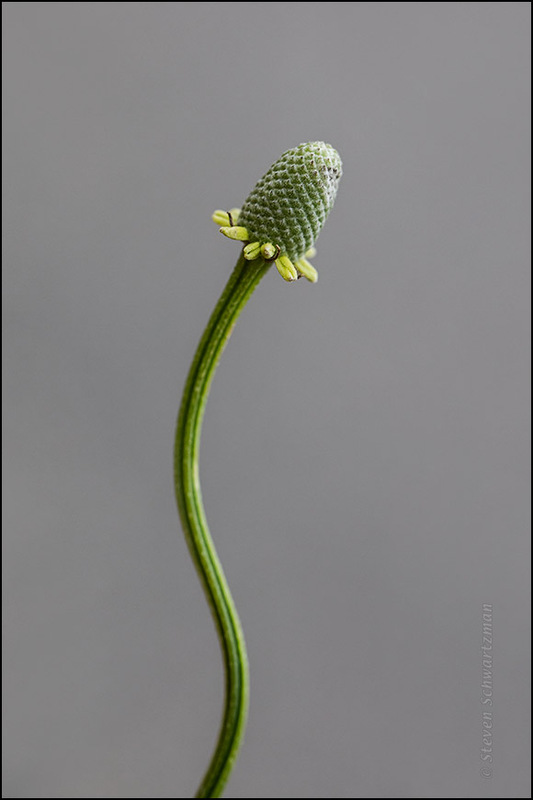 Don’t get bent out of shape by this portrait of a Mexican hat flower head, Ratibida columnifera, that I made a year ago today at Wild Basin. Either epithet fits the bud of this rain lily, Cooperia pedunculata, that I photographed along Great Northern Blvd. on August 19. Öd und leer das Meer! Lake Michigan isn’t the sea, but it’s so large that from most places along the shore you can’t see the other side. That was true in the photograph you saw that looked east from Zion, Illinois, on a stormy evening. 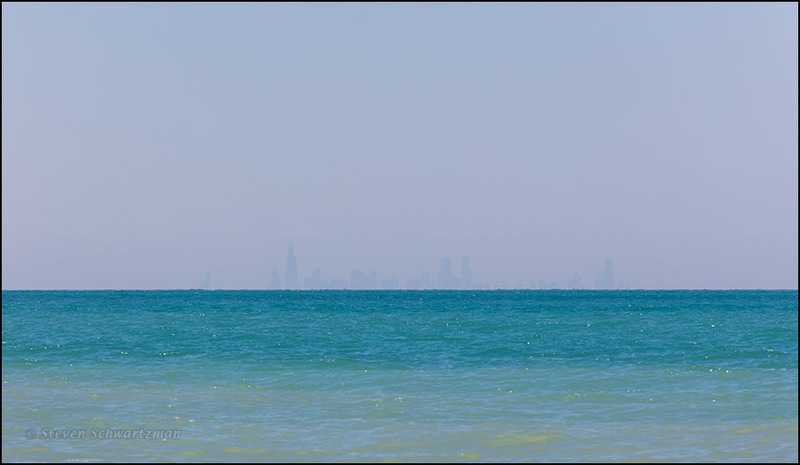 It would also be true in this June 17th view looking northwest from Indiana Dunes State Park, except that the faintly visible Chicago skyline stands proxy for the western shore of Lake Michigan. The skyline in this photo, though small, still looks larger and closer than it did in reality, thanks to the telephoto lens I used. 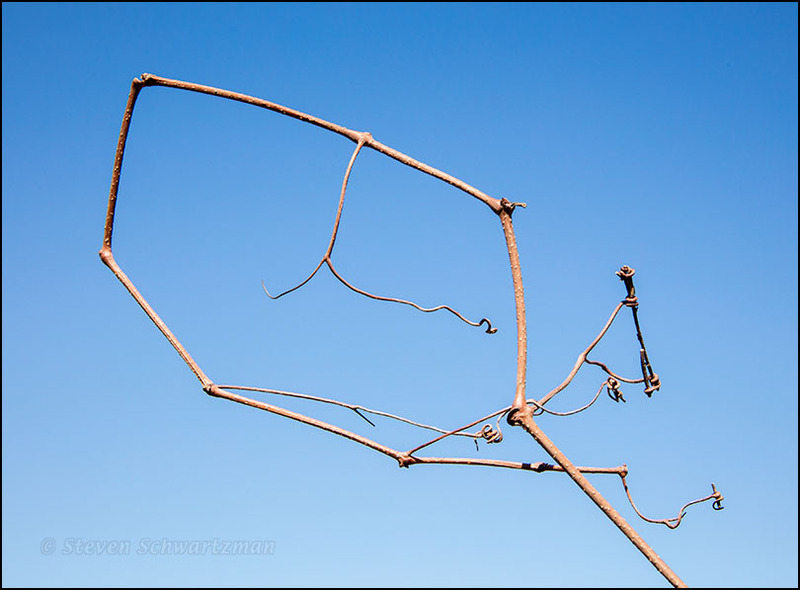 Here to start off the week is a strangely and geometrically looped mustang grape vine (Vitis mustangensis) that I came across adjacent to the Mexican devilweed at Muir Lake in the town of Cedar Park on February 4th. 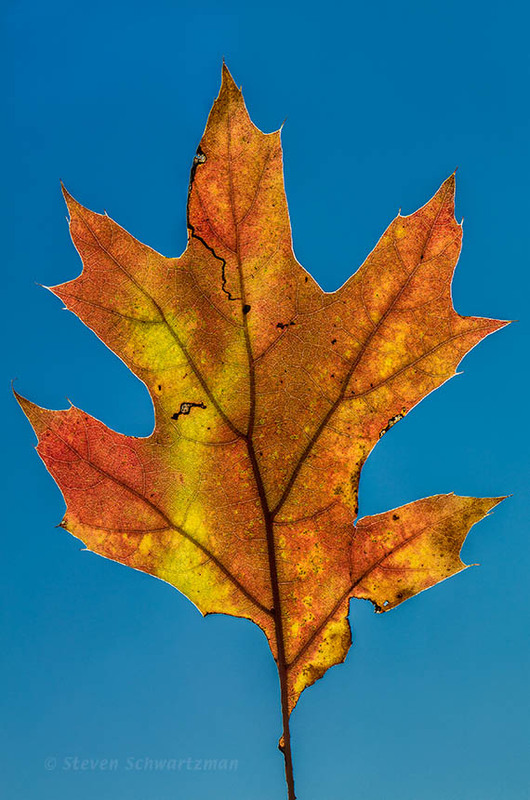 I didn’t show you a lot of fall foliage in 2015, so here, belatedly, is an oak leaf I photographed along Rain Creek Parkway on December 6th last year. 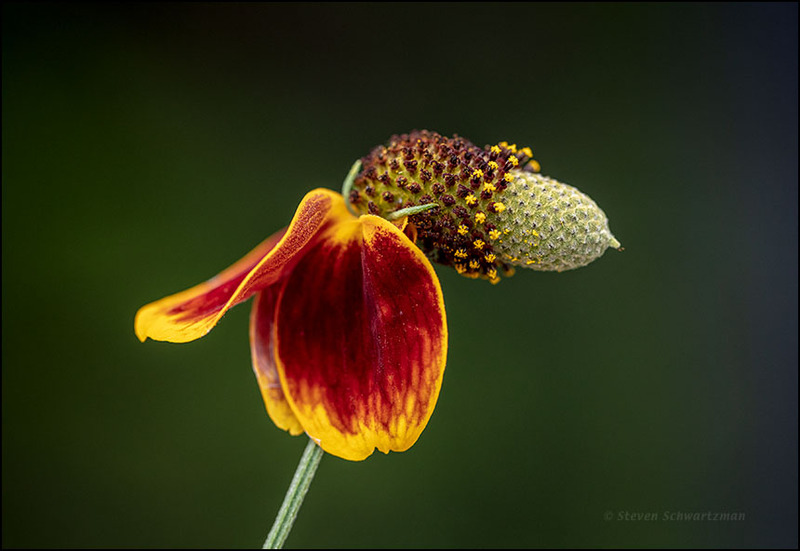 The previous post showed a couple of Mexican hat flower heads, Ratibida columnifera, that I noticed on January 2nd had sprung up in the median of Morado Circle. 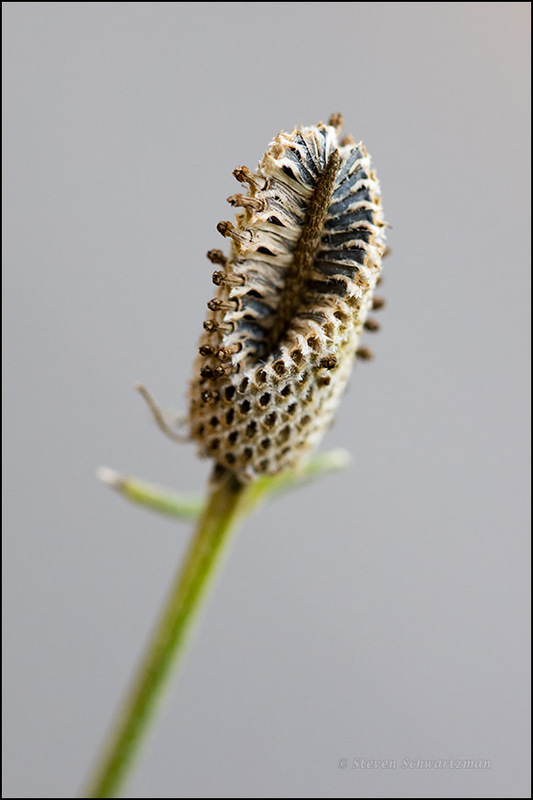 Although most of the flowers on the plants were fresh, I found a small number that had been there long enough (perhaps a lot longer) to go to seed and begin to decay, as you see above. 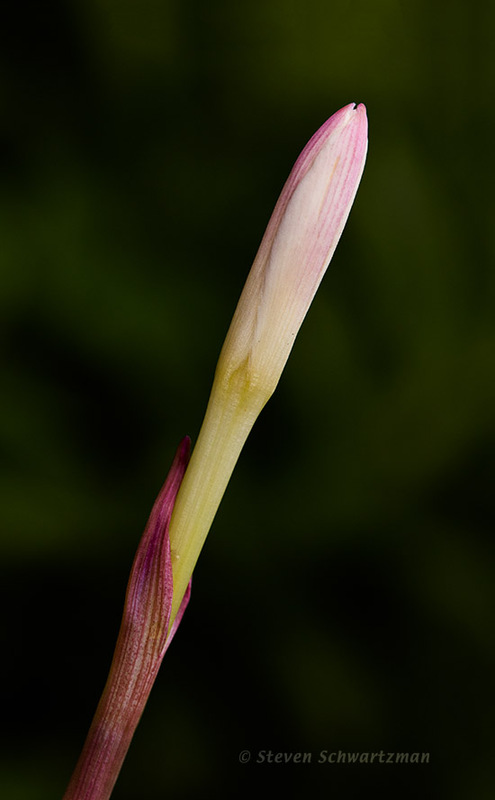 I also saw some specimens that were still on their way to flowering, like the one on the sinuous and aesthetically pleasing stalk shown below. * Our strong conception of time progressing from past to future almost always leads us to say before and after, so I thought I should give equal time—well, hardly equal—to after and before. I could also have written the post with all its words in reverse order, but that would have been a contretemps.